We are BACK in Lamar Hunt U.S. Open Cup action this Sunday at Broward College when we take on Uruguay Kendall F.C.! 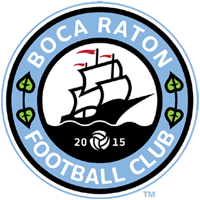 Get your bus ticket to come down with the rest of Boca Raton FC’s fans! $10 gets you a ride, and a game ticket! Come support Boca Raton FC as they take on Uruguay Kendall FC in the Second Qualifying Round of the 2016 U.S. Open Cup! The reigning APSL Champions take on Uruguay Kendall FC on Sunday, November 22 at 3:30pm! The Bus will depart from Boca Raton HS at 2pm and upon arrival at Broward College there will be tailgating food and festivities prior to kickoff. The $10 includes a bus ride to and from Broward College, a game ticket, and a Boca Raton FC t-shirt. Come out and support your APSL Champions as they look to advance in the Lamar Hunt U.S. Open Cup!